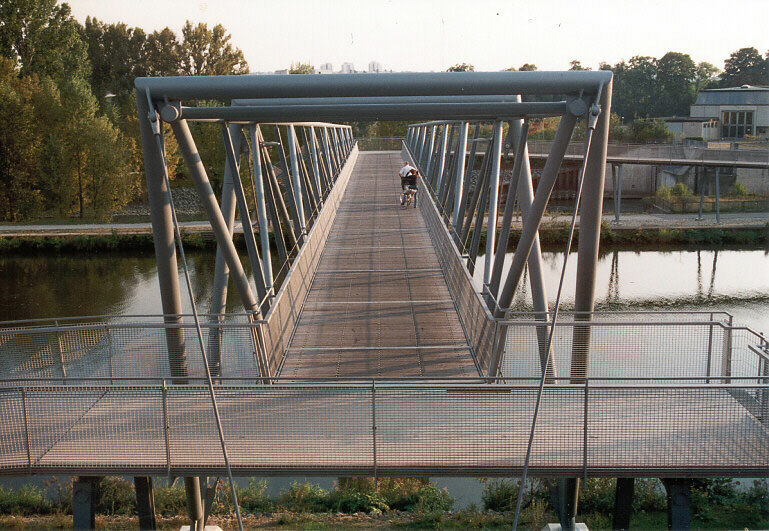 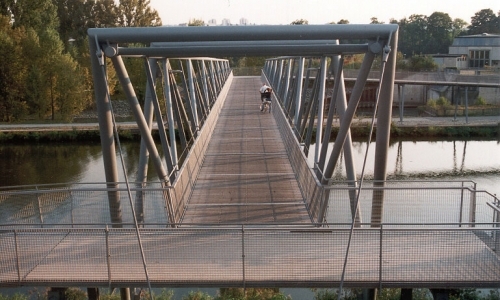 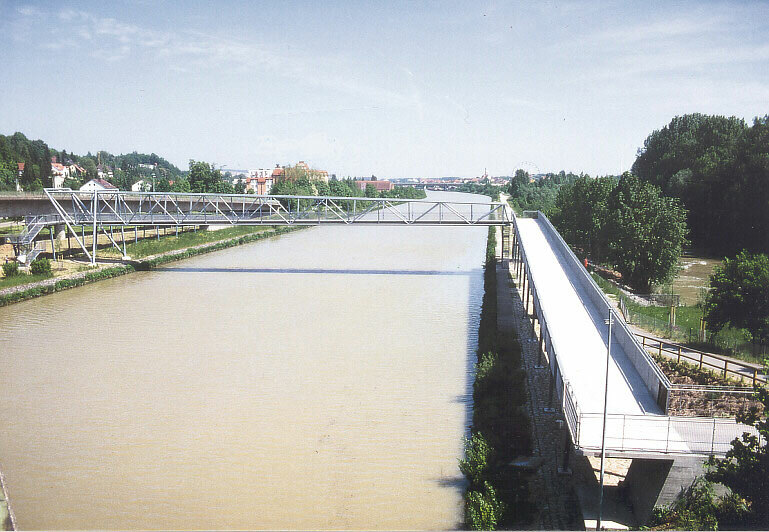 Footbridge as a steel truss girder structure with a span of 63 m and a width of 3,50 m. The decking is made of timber boards. 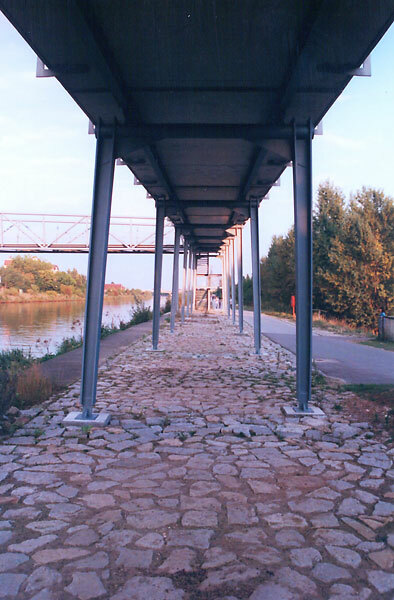 The bridge has a fixed support which is achieved by back-anchoring of the end support and a pendulum support on the opposite side. 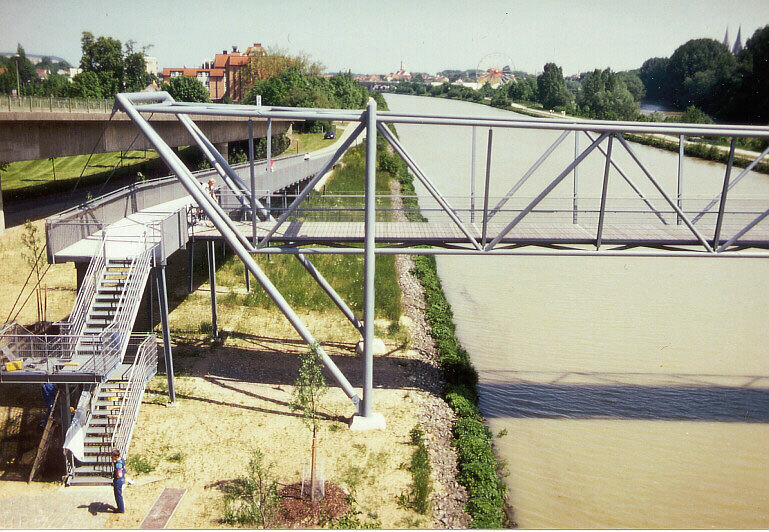 On the riverbank areas ramps in steel composite construction with a length of 72 m and 80 m respectively are situated.